Jorge Lana (@Jorge_lana) is the Director of Growth and Strategy for the EMEA region at Parse.ly. Currently based out of Madrid, Jorge is experienced in international sales having led revenue initiatives in Spain, Italy, England, France, and the United States—where he’s focused on a range of industries including online media, marketing, and ad tech. Believe it or not, when Jorge first entered the workforce, he hated sales. He thought it was “unsexy” and preferred to be the guy analyzing data and making decisions. That all changed when L’Oreal offered him a sales position. Since then, his perception of sales has completely changed, and he absolutely loves it. For him, learning how to sell effectively helps you level up in all areas of your life, both personally and professionally. After all, whether it’s your customers and investors or your wife and kids—you are either buying or selling something all the time. Change Your Mindset: It is my strong belief that the next generation of great sellers will be subject matter experts that have been taught how to sell, rather than salespeople who learn about a portfolio of products. With information being readily accessible and buyers expecting more every day, you owe it to yourself to become an industry expert. Not in sales, but in the industry you’re selling to. You need to know your buyers’ world just as well as they do to be able to communicate why your solution could help solve their problem. 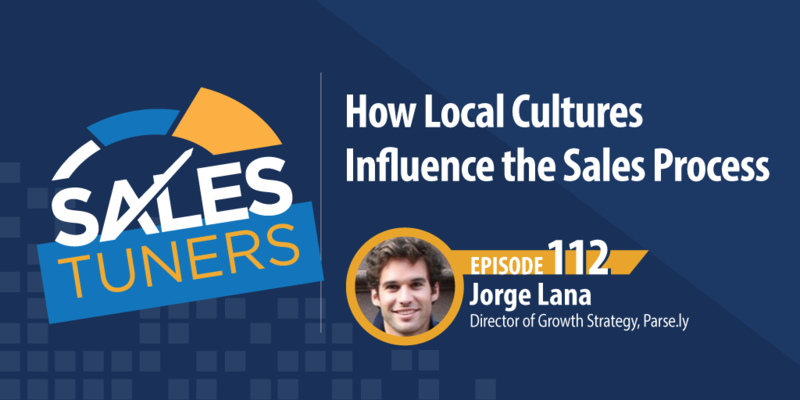 Learn the Local Language: Yes, this episode was specific to languages spoken in different countries, but if you think about it, your buyers speak a different language as well. This goes back to the first takeaway, how do they want to be spoken to? What are their expectations for cold outreach? What motivates them? Is there seasonality in their business or their industry? I’m not saying you have to change the way you sell, I’m just saying that if you’re aware of these things it will give you a huge advantage.